At 7:52 p.m., half an hour after the goring, Padilla arrives at the emergency room. He presents with multiple fractures to the left side of his face, a detached ear, a protruding eyeball, and hemorrhage at the base of his skull. A five-hour operation saves his life. The surgeons rebuild his cheekbone and eyelid and nose, with mesh and titanium plates. But they are unable to repair his split facial nerve, which has been divided by the bull's horn, because they cannot locate the base of the nerve. Padilla wakes up from the anesthesia to discover that he can no longer move the left side of his face. It is paralyzed. When he comes to, his first words to his manager, Diego Robles, are: "Don't cancel any of my contracts in South America." Padilla has November bullfights in Venezuela, Peru, and Ecuador. 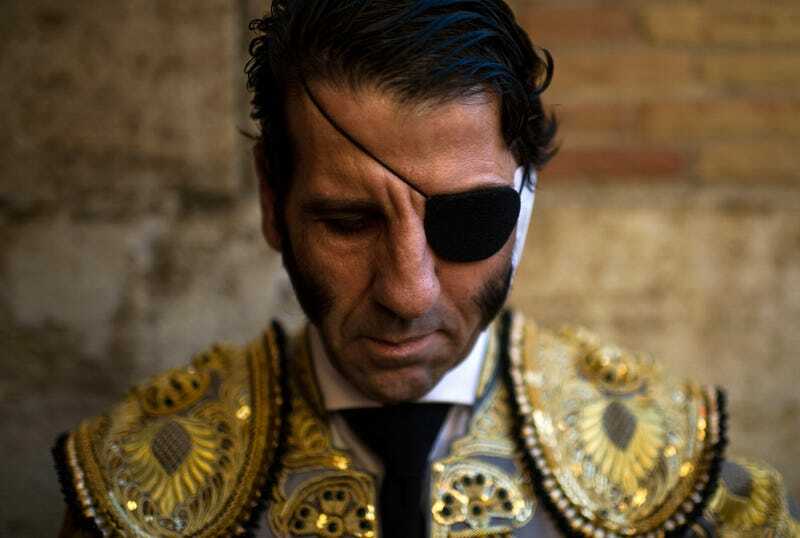 His first words to his youngest brother, Jaime, who is also a bullfighter, a banderillero, and scheduled to perform in two days' time: "Don't cancel your fight. You have to do it for us. You can't let this get the best of you."